On Wednesday, July 20th, we took a Day Ride to prepare for our upcoming Fun Run on Saturday, July 23rd. We left our home around 10:45am and headed toward Biker Rags where our Fun Run will begin. We left Biker Rags and got on Pellissippi Parkway heading toward Edgemoor Road. On Edgemoor Road heading toward the Melton Lake Dr. turn. View of the water from Edgemoor. We turn left onto Melton Lake Dr. heading into Oak Ridge. We rode through Oak Ridge and turned onto highway 62 heading toward Oliver Springs. A beautiful historic building near downtown Oliver Springs. A nice historic car inside the building. Wow! From Oliver Springs we headed toward Wartburg (where we will take our first scheduled Fun Run stop.) After Wartburg, we continued north on 27 heading toward Huntsville. That’s the way we came. Another view of the beautiful countryside. This is the way we’re headed. About 70 miles into the ride, we make it to our next scheduled stop at the Marathon on 27 just before Huntsville. Time to get some water and take a break. After our break at the Marathon, we get on 63 heading into Huntsville. We travel through Huntsville, staying on 63. That’s the direction we just came from. And that’s the way we’re headed. On Old Highway 63, view of the direction we’ve come from. And this is the way we’re headed. Old Highway 63 dovetails right into Caryville. Cool old buildings in Caryville. From Caryville, we travel into Lake City (Rocky Top) where we make our third stop at the Weigel’s- which has big restrooms and lots of gas pumps. From Weigel’s we traveled up and over Norris Dam. A nice picnic area below the East Visitor Center. Jeff peels a delicious orange. Yum! View of the back of the dam from the picnic area. View of the dam from the Visitor Center. That’s the road going over Norris Dam that our ride will travel. After leaving Norris Dam, we got onto Norris Freeway, eventually turned right onto Raccoon Valley Road, a beautiful back country road that connects to Clinton Highway. We passed over Clinton Highway and traveled back down Edgemoor to Pellissippi Parkway and on to Biker Rags. Saturday’s ride (July 23, 2016) will leave from Biker Rags at 1pm. Come early for pizza, cookies and drinks at noon. Everyone is welcome, no sign up, no fees. The total ride is around 140 miles with three fuel and water stops along the way. Be sure to bring sunscreen! Hope to see you there. 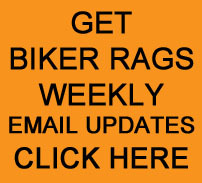 This entry was posted in Day Ride, Fun Run and tagged Biker Rags, Day Ride, fun run. Bookmark the permalink.